Ethiopia, also known as Abessinie, located in the Horn of Africa, is to many people known as the area of terrible poverty and hunger in the 1980’s. A few years ago there were reports about war with their old friend and neighbor "Eritrea" and attacks on neighboring Somalia because of extreme Islamic influences. Not really good advertising for what is perhaps the most beautiful and most impressive country in Africa or at least this part of the continent. It’s a country with endless variety in the fields of history, nature and culture. Lucy, a human skeleton that walked around 3.2 million years ago, was found in Ethiopia and is probably the cradle of humanity. 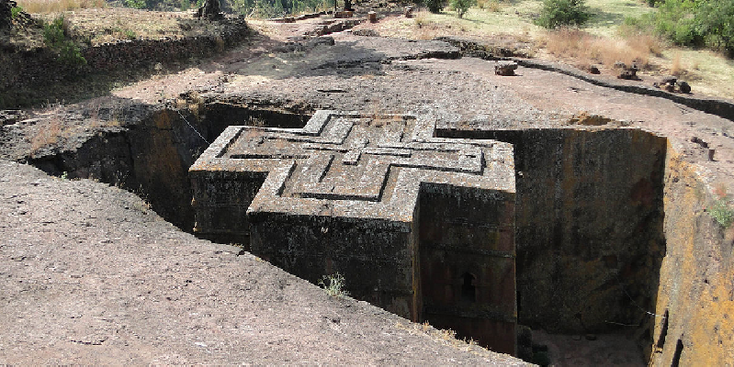 Christianity arrived here earlier than in the rest of the world and you find in Ethiopia various churches with a wealth of religious objects. But also rock paintings, archaeological treasures, fortifications, Islamic heritage and many palaces testify to the rich history of the country. 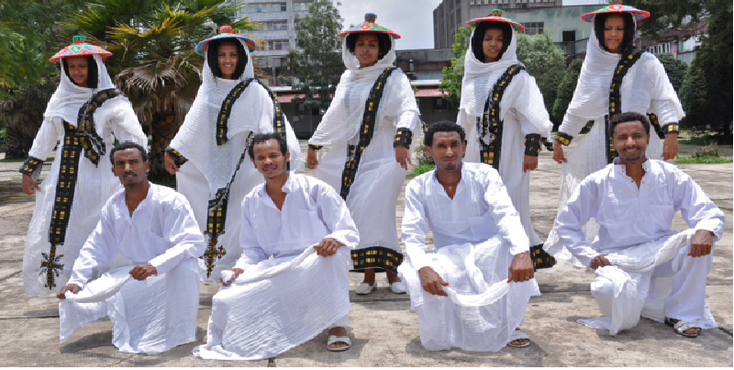 Very special are the ancient rock churches in Lalibela, the 16th century castles in Gondor, the stelae in Axum and the ancient monasteries in and around Lake Tana. Ethiopia is also a country where nature lovers can get their money's worth. The country has a beautiful nature with varied landscapes such as inhospitable mountain ranges, fertile highlands, green hills, lakes, rivers, rain forests, savannas and deserts. The country has more than 800 bird species and there are species that doesn’t exist anywhere else in the world, such as the Gelade baboon, the Ethiopian wolf and the Walia ibex. Important natural parks in Ethiopia are for example "Bale" and the "Simien" mountains. Finally, Ethiopia also has a very colorful population. 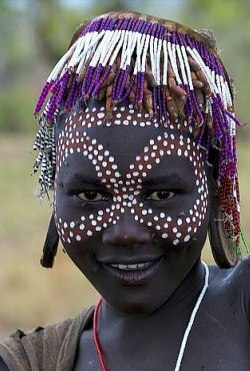 More than eighty different people and tribes live in the country, each with its own culture and religion. Especially in the Omo-valley in the south of the country, tribes still live in an age-old way, the same as hundreds of years ago. There are indeed foreign influences even though the country has never been colonized (as the only one in Africa) and you notice that when you walk in the streets and see a lot of Italian (business) people walking around. In addition, you can get spaghetti anywhere instead of the everywhere "injera" pancake, which is the local dish. Ethiopia should be high on you’re bucketlist visiting Africa.